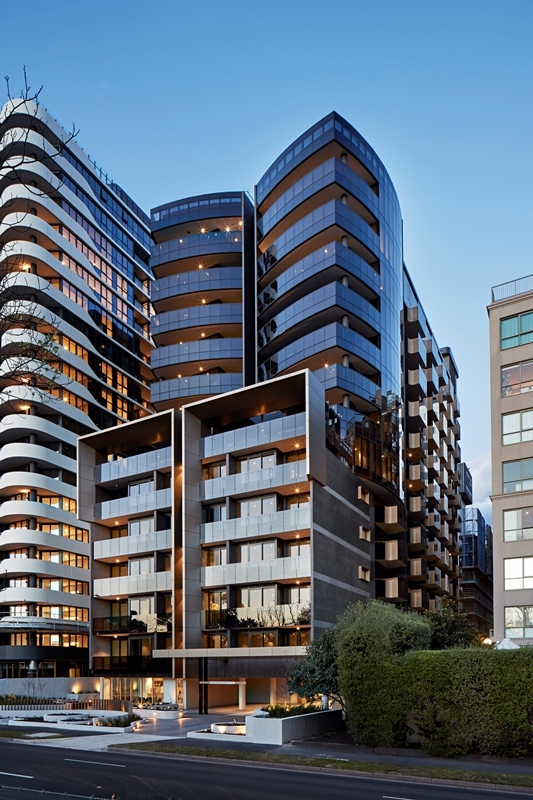 When Electrocom Solutions was awarded the contract to install a GPON Network for the new Arthur Residential Apartments and the Tyrian Luxury Serviced Apartments at 14 Queens Road Melbourne, they chose OSA as their technology partner. Jason Van Hout, Managing Director of Electrocom Solutions, explains why. “We were looking for a technology partner who had the capacity to support not only the installation and integration of the active equipment…we also needed them to support the delivery of a full turnkey active solution, end to end. 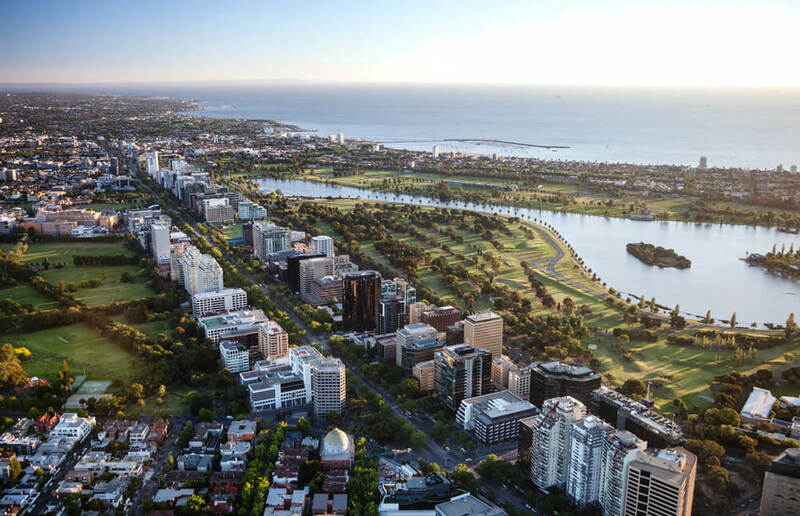 “We’d previously worked with OSA on the Avington Point Cook Residential Development. This project used similar technology and it was extremely successful, so we decided to partner with OSA again for the Arthur/Tyrian Apartments project. 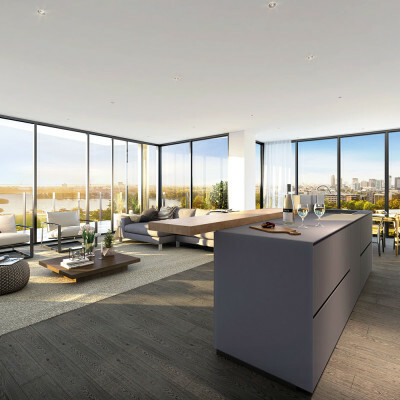 Both the Arthur Residential Apartments and the Tyrian Luxury Serviced Apartments were designed to set new standards of excellence in luxury apartment living, creating spaces to relax in comfort with fully ducted heating, air conditioning and optical fibre throughout. The Arthur Residential Apartments comprise of 96 elegant one, two and three bedroom homes, all fully equipped with leading edge technology, and the 85 Tyrian Luxury Serviced Apartments also feature leading edge technology, as well as flexible and technology driven working spaces within the Tyrian’s conference facilities. 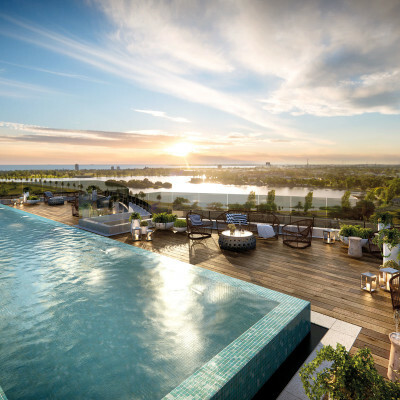 Both the Arthur and Tyrian apartments share the world class amenities, from the five star rooftop skydeck (including a sky-pool, gymnasium, sauna, spa, and dining/entertainment area with full Wi-Fi coverage over the entire rooftop), as well as the café located on the ground floor. Sam Ford, Sales Engineer at OSA Melbourne, explains how OSA worked with Electrocom Solutions to deliver a lot more than just the physical components of the GPON technology. “Because the Arthur/Tyrian project is a mixed use Multi-Dwelling Unit (MDU) build in central Melbourne, with 175 apartments/rooms located over 14 storeys, the telecommunications requirements for this project were unique, in that the building is a mix of high end serviced apartments/hotel and private apartments. This required two very different sets of network functionalities to be able to operate side by side over a converged truly integrated communications network (ICN). “On levels 1 through 5 of the building (the 85 Tyrian Serviced Apartments), we needed to run IPTV, SIP Voice, Wi-Fi and Wired Ethernet throughout all of the apartments. 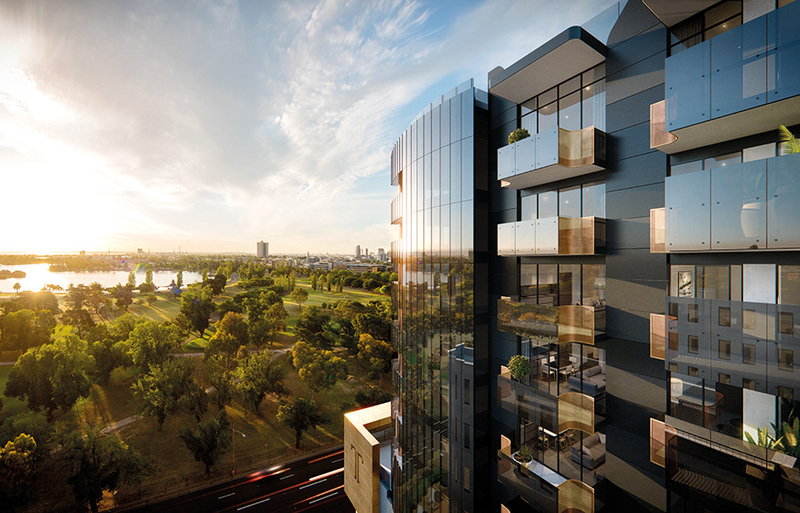 Then on levels 6 through to 13, (the 96 Arthur Residential Apartments) we are delivering RFoG (Free-to-Air and Foxtel), SIP Voice and Wired Data. 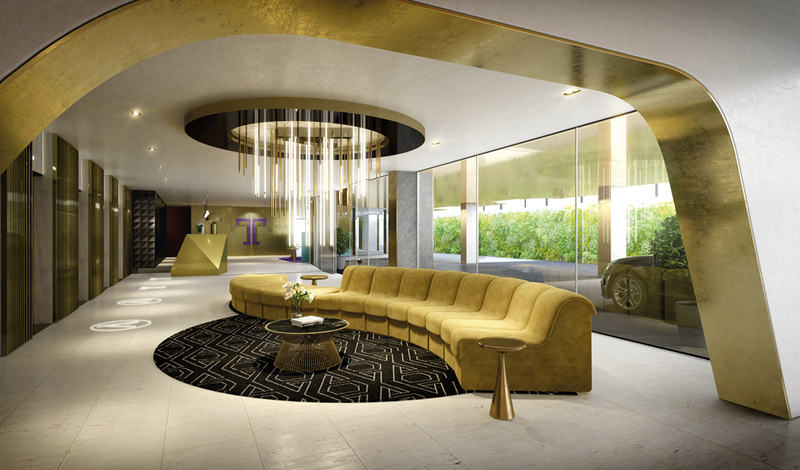 Electrocom Solutions and OSA delivered a full turn key solution for the Arthur/Tyrian development, including the design, specification, supply, staging and integration support of the MDU GPON fibre deployment. Sam Ford explains how innovative design helped save money right from the start of the project. “When we were factoring in the initial hardware, ongoing maintenance, upgrade costs, and the energy costs to run a traditional enterprise Core and Edge architected Ethernet network, it was clear that a Calix GPON network was the best fit for the client. We realised the total cost of ownership (TCO) to the network operator over time to operate a Calix GPON network would be approximately 60% less than that of a traditional Core and Edge architected Ethernet network. In addition to the savings in time and money, OSA also recommended that Electrocom Solutions install a specialised RGNets hospitality router/wireless network controller device that enables Tyrian to seamlessly generate additional revenue via a suite of value-added features. This router facilitates the delivery of advertising content directly to the hotel’s network subscribers, both wired and wireless, as well as splash page content insertion tailored to the hotel’s users. As an example, Tyrian can directly deliver content to the user’s browser advertising local restaurants, golf courses, and other relevant businesses. Additionally, the next regeneration carrier class Wi-Fi network Electrocom and OSA have delivered (powered by Ruckus) can facilitate speeds of up to 250MBs. It also incorporates a unique token based dual network authentication method, meaning the users Wi-Fi experience is not only lightening quick…but very secure. “Future-proofing is inherent in standards compliant GPON technology,” says Sam Ford, “because there is no longer a need to replace the entire network as the technology evolves and new PON standards are ratified and released by PON vendors. Just as important as the design, specification, supply, and staging of the GPON network, is OSA’s delivery of ongoing integration support for this project, along with Electrocom. “An inherent part of the scope of the project was training of the installers and the hotel staff in using the technology,” says Sam Ford. “We are helping to fine tune the telephone system to suit their needs, and as new amenities and Ethernet based services are added we simply update the network to make provision for them. For example, when a new cafe was recently fitted out on the ground floor we were able to supply commercial voice, data, Wi-Fi, and POS to the shop, all without recabling. “…but they also had a a like-minded and different level of service delivery to other companies we’d partnered with before,” says Jason Van Hout. “We really like their clear and direct communication, and their honest straight up approach. They always keep us fully updated and are in contact every step of the process.